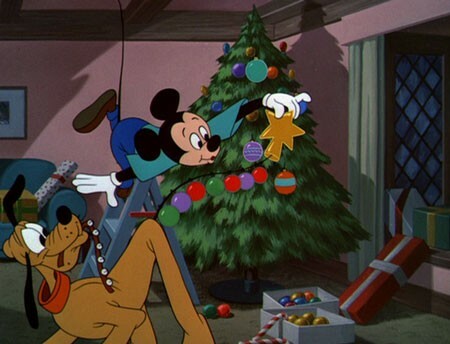 Pluto’s Christmas Tree (film) Mickey Mouse cartoon; released on November 21, 1952. Directed by Jack Hannah. The tree that Mickey chops down to bring home for Christmas turns out to be the home of Chip and Dale. In discovering the chipmunks’ presence and trying to get them out of the trimmed tree, Pluto destroys it.